It never ceases to surprise me how different the same area can look with the same surface pattern yet with just a change of colour. 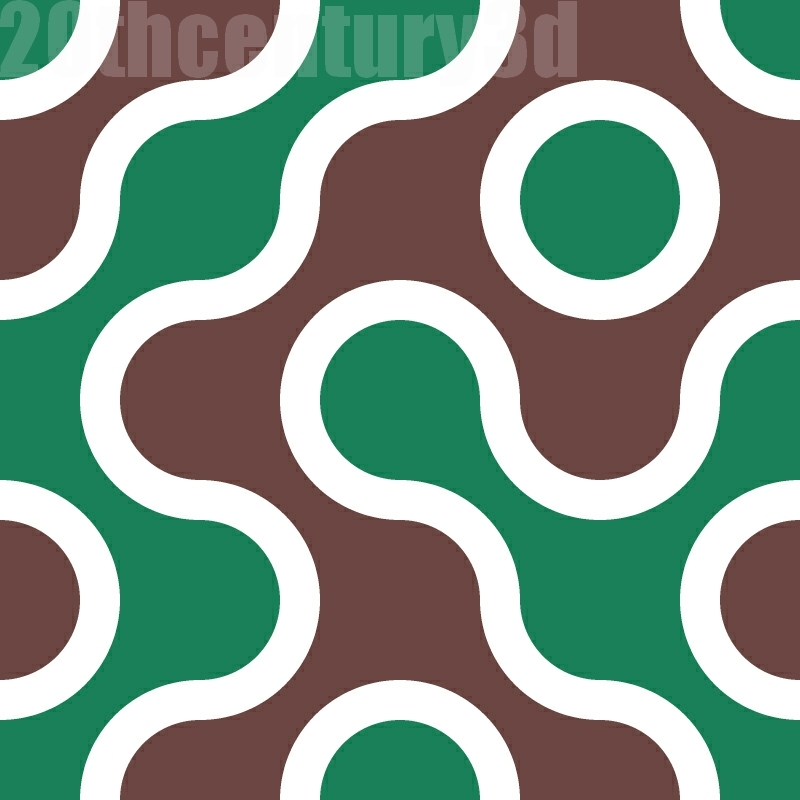 This is the same pattern as in the last post but the colours are now quite different, the blue has been replaced with green and the spaces between the blue pattern are filled with an earth colour. The effect of this is to make a hallway much darker and to shorten the apparent space between the floor and ceiling, making the room appear wider. When I created this colour scheme, a few days ago, I liked it a lot but now, writing this post, I am not so sure whether I have made the right choice. A glance ahead to the post set for tomorrow shows that perhaps I was right and that the background colour is too dark. 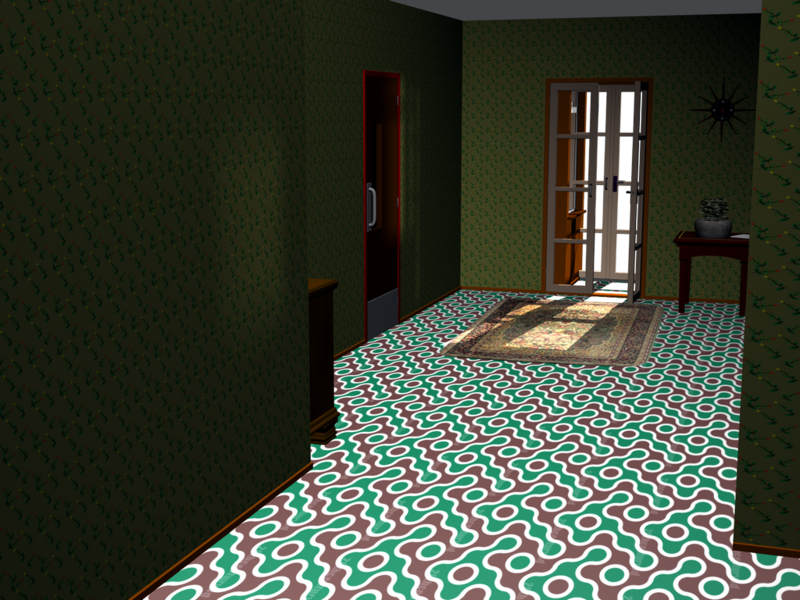 Tomorrow I will post a different version of this pattern which will create a very different look for the room and, like me, you can make your own choice. For those interested in the colours I use, the two colours are from the 1950s British Standard and are Baltic Green and Mecca Red.